It was brought to our attention that we the owners haven’t been feeding content to the Blog. To our millions of fans (tongue planted firmly in cheek) please accept our sincerest apologies. It is difficult to sit down and bang out a 1200 word essay when you are so busy doing other cool and exciting things! We promise that from here on our Blog section will no longer be treated like little orphan Annie. No, starting today we will post riveting content on a regular basis. Content that will rival your favorite auto magazine, show, craigslist, or whatever you spend your time looking at while doing whatever you do in the bathroom. Since there has been such a lack in Blog posts for the TredWear.com site, and it is December we figured it would be great to give a review of the seriously cool and fantastic things we have been up to in 2017. Thankfully Iphones have that time line organization thing for your photos so this will be a little bit easier. Now, because we don’t want you to lose track of time reading this riveting content and because deep down we are slackers, this year in review will be broken up into 4 parts. So get comfortable and enjoy. 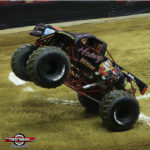 Starting 2017 off right the TredWear.com team was the headline sponsor for the Toughest Monster Truck Tour. We traveled just up the road to Southaven (shouldn’t that be two words?) Mississippi and watched the opening event. 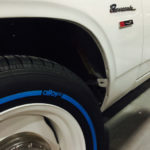 We have always known TredWear is a great product, but watching our tire graphics survive the punishment of a Monster Truck course gave us the warm and fuzzies. 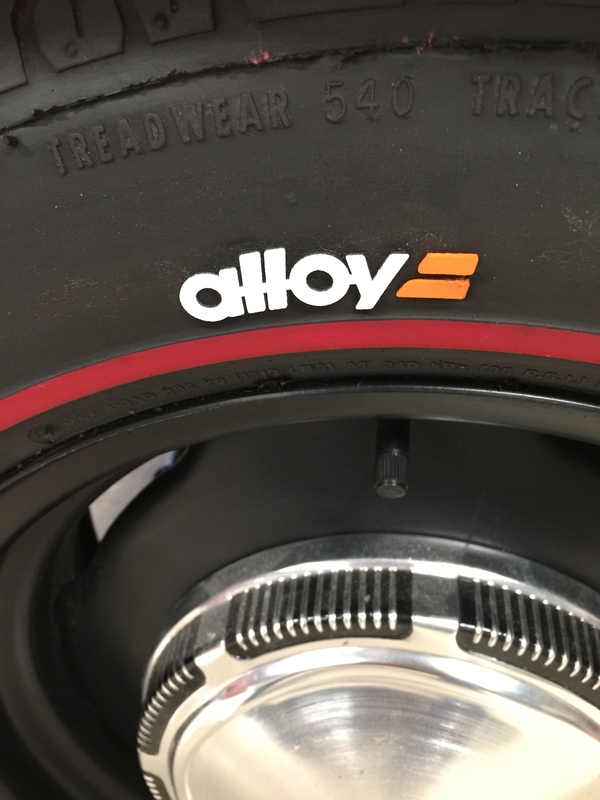 While at the 2016 SEMA show our friends from Alloy Motors stopped by the TredWear.com booth and asked if we would like to drive with them in the 24 Hours of LeMons. Perhaps some pause should have been given, a time to reflect on life and safety, but no, with an enthusiastic “YES!! 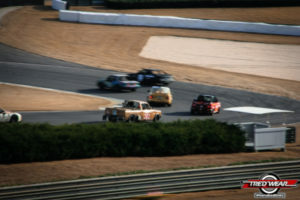 !” Michael and Lee hopped on the track at Barber’s with the Pinewood Dirtbags’ chevy LUV. 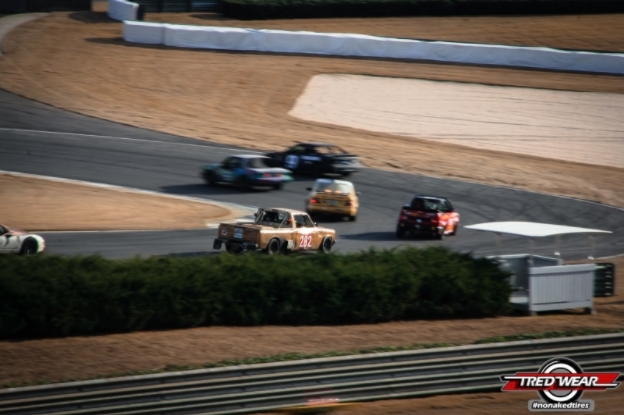 Now incase you don’t know the 24 Hours of LeMons is an endurance race for “$500” race cars. When asked why would you want to race in a LUV the guys responded with something about “an opportunity for further product testing”. It turns out Michael and Lee are pretty good at racing. While they didn’t finish first they didn’t finish last either. If you ask Lee (don’t) he will tell you all about how he narrowly avoided two terrible accidents, and how it was through his excellent driving alone that the LUV didn’t end up a mangled piece of scrap metal. Just nod and smile and wait for him to finish. That’s what we do. 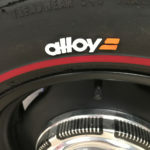 In all seriousness though this was a great opportunity for further testing of our tire graphics. There is absolutely no way stickers on a tire would have survived the fender rub or the rumble strip contact the way TredWear did. This is when things start to really cook at TredWear. Our factory is running at full tilt and those orders are flying out. So there isn’t a whole lot of time for really cool stuff like driving around a track in a $500 crap can. However, the guys did pick up a cheap LS for some future project, and flew to Oakland to install some blue lines for Alloy Motors. There was also some great progress made on Project Tarantula (for more on this see our upcoming project vehicle blog). March also saw the start of a new venture called Chicanery. Chicanery is a TredWear brand that makes widebody kits for select vehicles that need a bump in style. Our first car to tackle is the C5 Corvette. The idea here is the C5 is long in the tooth, but is still a very capable sports car that is readily available for less than 20k. Our kit makes this tired design look like a supercar and puts more rubber to the road. This is also great for the guys and gals who like to autocross. 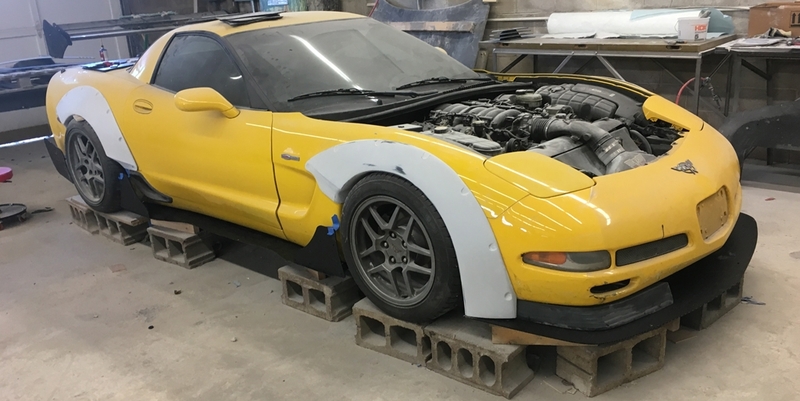 So TredWear purchased a poor mistreated ZO6 to start making the molds. That wraps up part one of our slacker’s year in rearview. If you liked this blatant self promoting post stay tuned for parts 2, 3, and 4.